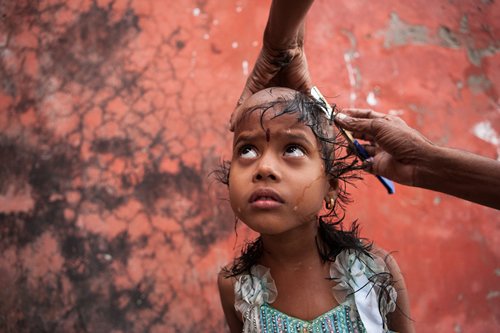 Anualmente hay cientos de sitios que recopilan las “fotografías del año”, las imágenes más impactantes de los momentos más representativos del año. 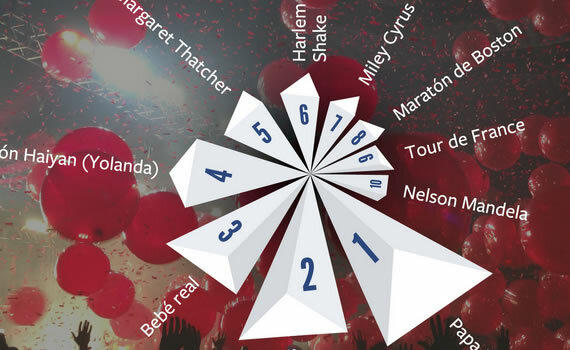 El 2013 se va acabando y algunos de estos sitios ya han publicado sus recopilaciones. A continuación os dejo una pequeña selección de mis cuatro fuentes favoritas. GAZA BURIAL. Paul Hansen. 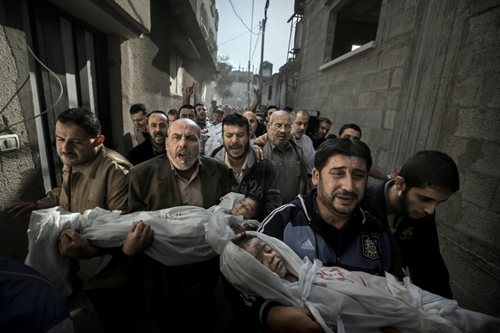 The bodies of two-year-old Suhaib Hijazi and his elder brother Muhammad, almost four, are carried by their uncles to a mosque for their funeral, in Gaza City. JOY AT THE END OF THE RUN. 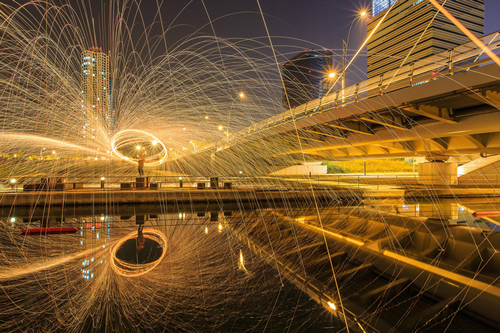 Wei Seng Chen. 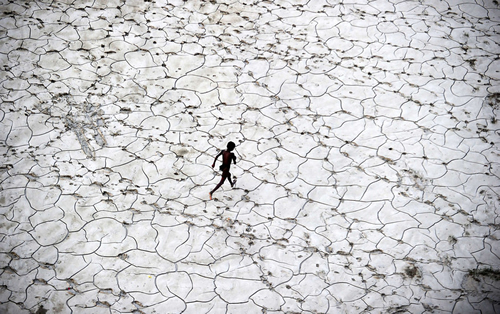 A competitor and his charges reach the finish of a bull race, in Batu Sangkar, West Sumatra. 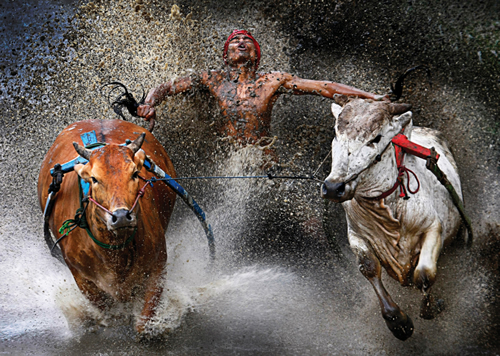 Pacu Jawi is a 400-year-old tradition in the area, held after the rice harvest once the paddies have been cleared. SUMO WRESTLERS. Denis Rouvre. Sumo wrestling in Japan has a tradition that dates back centuries, yet the sport—which demands total dedication and extreme rigor—is attracting the lowest number of young recruits for more than half a century. EMPEROR PENGUINS. 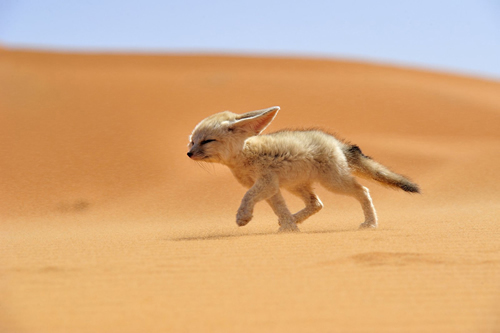 Paul Nicklen. The flightless emperor penguin is capable of becoming airborne, by swimming at up to three times its normal speed, and launching itself from the water to clear the edge of a shoreline. 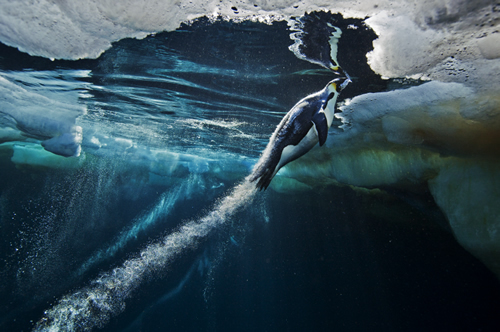 Recent research shows that the penguins do this by releasing air from their feathers, in the form of tiny bubbles. 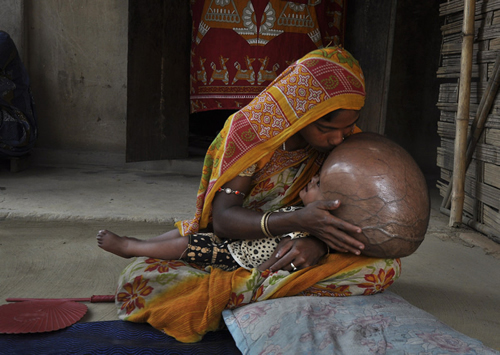 Fatima Khatun 25, kisses the head of her 18-month -old daughter, Roona Begum, who is suffering from Hydrocephalus, in which cerebrospinal fluid builds up in the brain, at their hut in Jirania village on the outskirts of Agartala, on April 13, 2013. 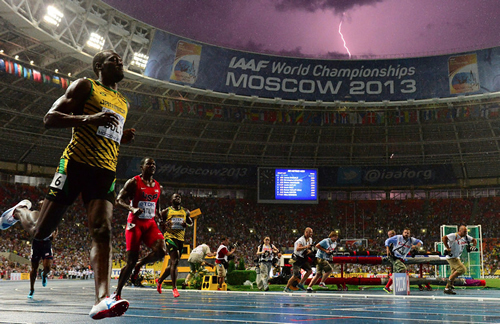 Jamaica’s Usain Bolt (L) wins the 100 metre final at the 2013 IAAF World Championships at the Luzhniki stadium in Moscow on August 11, 2013 while a lightning strikes in the sky. 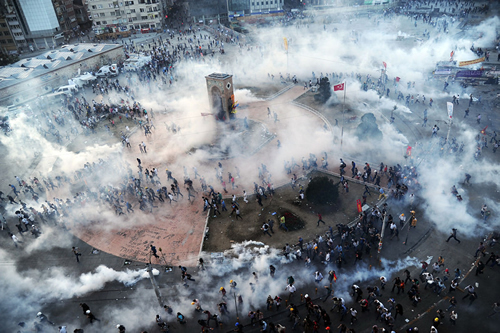 People run away as Turkish riot policemen fire tear gas on Taksim square on June 11, 2013. 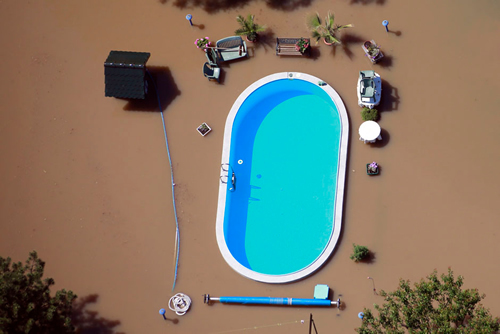 A garden with a swimming pool is inundated by the waters of the Elbe river during floods near Magdeburg in the federal state of Saxony Anhalt, June 10, 2013. 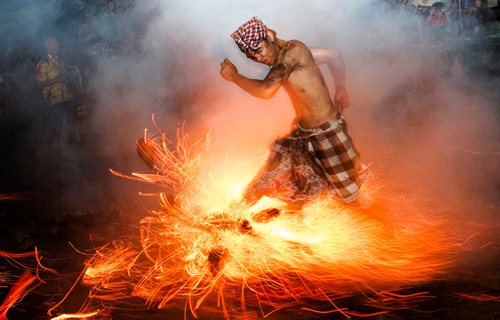 A Balinese man kicks up fire during the “Perang Api” ritual ahead of Nyepi day, which falls on Tuesday in Gianyar on the Indonesian island of Bali March 11, 2013. 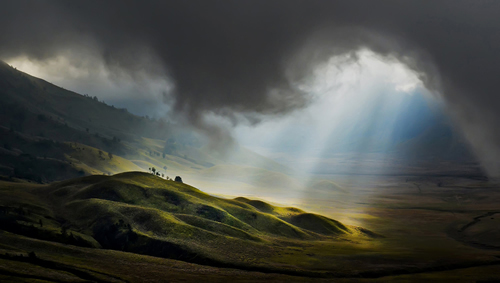 Nyepi is a day of silence for self-reflection to celebrate the Balinese Hindu new year, where Hindus in Bali observe meditation and fasting, but are not allowed to work, cook, light lamps or conduct any other activities. 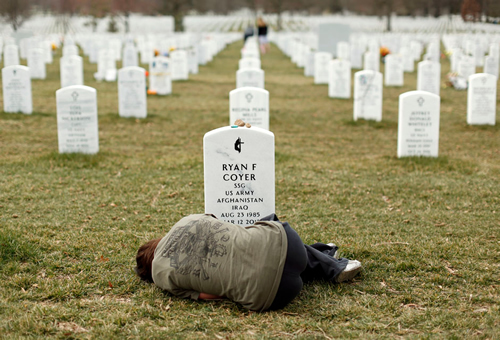 Lesleigh Coyer, 25, of Saginaw, Michigan, lies down in front of the grave of her brother, Ryan Coyer, who served with the U.S. Army in both Iraq and Afghanistan, at Arlington National Cemetery in Virginia March 11, 2013. Coyer died of complications from an injury sustained in Afghanistan. 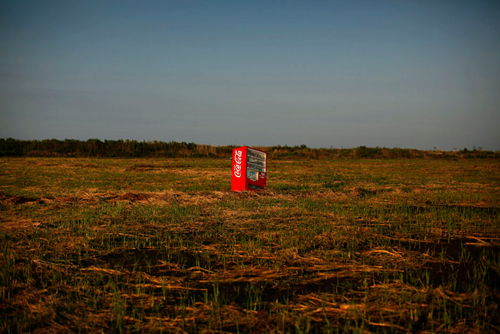 A vending machine, brought inland by a tsunami, is seen in a abandoned rice field inside the exclusion zone at the coastal area near Minamisoma in Fukushima prefecture September 21, 2013.